Treat someone to a year of gardening adventures wrapped up in a NEW luxury pack with an exclusive RHS bag and £5 voucher; give them RHS gift membership. It’s the perfect gift for one or two people for just £54. Your unforgettable gift will include: exclusive member benefits such as discounted and priority tickets to RHS Shows, family days out at more than 150 gardens including bringing a family guest for free to the four RHS Gardens – Wisley included; The Garden, monthly magazine and more. 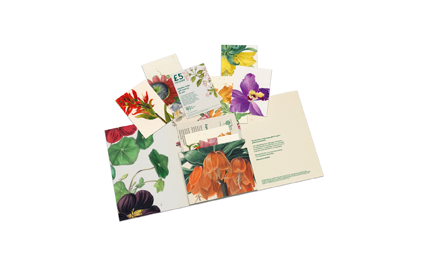 RHS gift membership comes beautifully presented and you can choose to wrap it yourself or we can send it for you with a personalised message, all for £54. Special offer prices are valid until 31.03.2014. Gift Membership price is usually £54 and valid to 31.12.2014. The full year’s gift membership begins when the activation card inside the gift pack is activated by phone or online by the gift recipient. Please allow 7 working days (14 days for overseas) from receipt of order for delivery. Free access to RHS Partner Gardens is for the main member at selected periods. Please visit rhs.org.uk/PartnerGardens to check access.